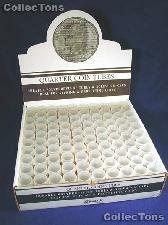 Coin Tube for QUARTERS by Numis Square Plastic Coin Tube for 40 Quarters $0.39! 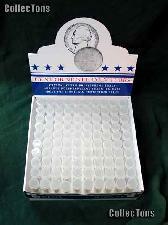 Coin Tube for CENTS by Numis Square Plastic Coin Tube for 50 Cents $0.39! Harris Round Polypropylene Coin Tube for 40 QUARTERS $0.35! Harris Round Coin Tube for 50 SMALL CENTS $0.39!